Nasdaq Inc. and Citigroup Inc. are among firms that are investing $20 million in Symbiont.io Inc., a New York-based company that’s applying blockchain technology to capital markets. Their support for Symbiont shows Wall Street’s enthusiasm for the technology behind Bitcoin hasn’t completely cooled with the collapse in cryptocurrencies. And it comes despite a growing pragmatism about the technology’s limitations and potential applications, according to Symbiont Chief Executive Officer Mark Smith. Nasdaq Ventures, an initiative of the exchange operator focused on investments in financial technology, is the lead investor in Symbiont’s series B funding round, according to a company statement on Wednesday. 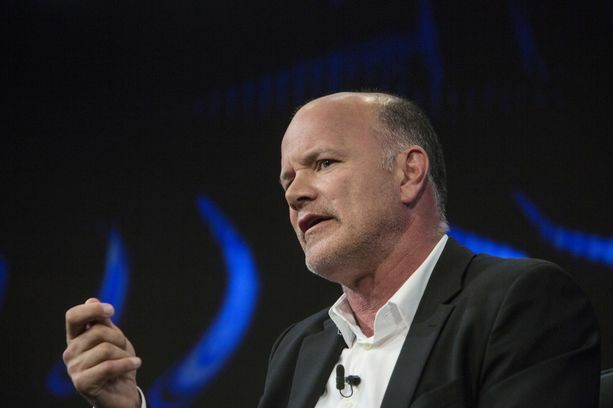 Other investors include Mike Novogratz’s Galaxy Digital Holdings Ltd. and Raptor Group Holdings, an investment company backed by Jim Pallotta’s family office. A blockchain is a shared ledger used to record and validate transactions. It was first developed to record the movement of Bitcoins. Proponents of the technology say it can be applied to multiple industries beyond cryptocurrencies, including financial services, bringing greater efficiency and transparency. Detractors say it has failed to live up to the hype. Symbiont has developed its own blockchain and smart contract platform called Assembly, which financial institutions can use to share and verify data. The company is using smart contracts — pre-programmed agreements that determine how complex financial instruments will behave in different scenarios — and blockchain technology to help speed up settlement times for syndicated loans and improve efficiency in the mortgage bond market. The company has partnered with Vanguard Group Inc. to apply blockchain to how the investment giant updates the index data behind mutual funds. Symbiont will use the newly raised cash to fund work on data management, mortgages, private equity and syndicated loans, according to the statement. Nasdaq will explore additional opportunities to use Symbiont’s Assembly platform with existing and new clients that are seeking to use smart contracts or to tokenize assets, a process that involves transforming real-world assets into digital contracts.